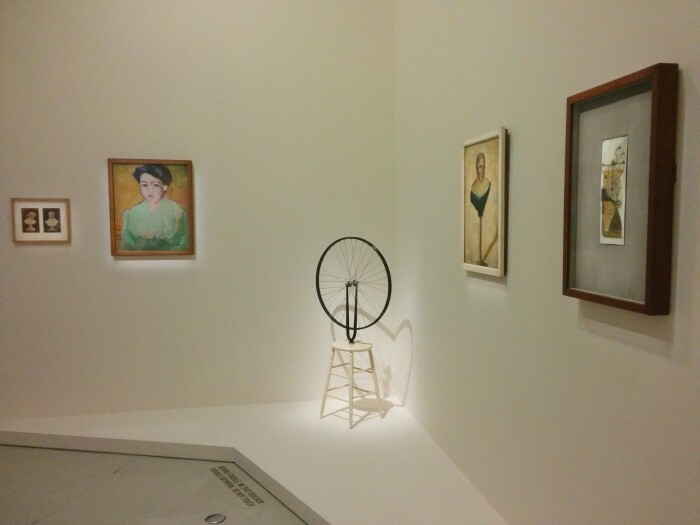 The father of ready-made, the precursor of all main art movements of twentieth century, the one who has been ” accused” of killing painting, Marcel Duchamp, is now displayed at Pompidou exactly by means of his paintings. An experience, that of painting, certainly tied to his early approach to art, but that the artist never really leaves during his career. 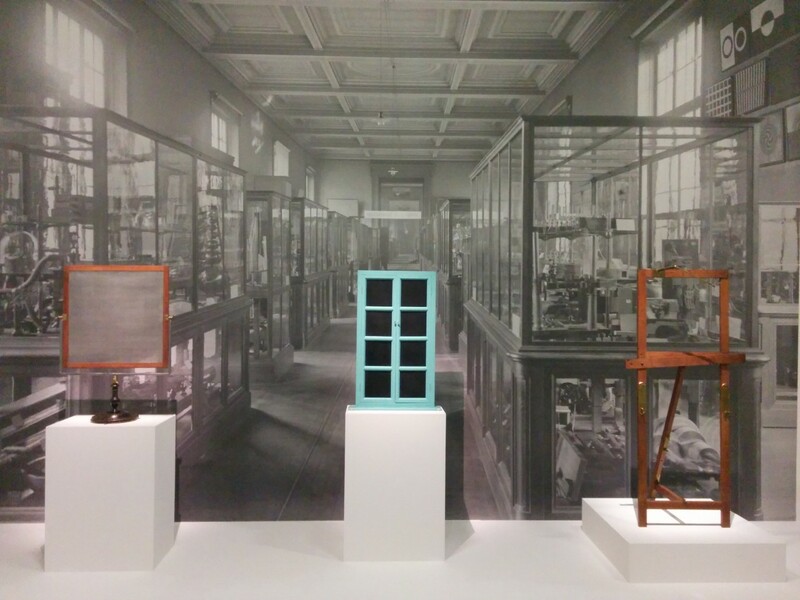 The exhibition, curated by Cécile Debray, presents a selection of works (in part from Centre Pompidou’s collections, but mostly borrowed from the Museum of Philadeplhia) that shows the different phases and influences that led Duchamp to the creation of one of his most emblematic and enigmatic works, the “Large Glass”. All displayed paintings were grouped by Duchamp himself in mini format in its “Boite en Valise”, which symbolically receives the audience at the beginning of exhibition: the treasure chest containing all his paintings, works is in relation with “Large Glass”, in the opposite pole, which, on the contrary, contains all his reflections on it. 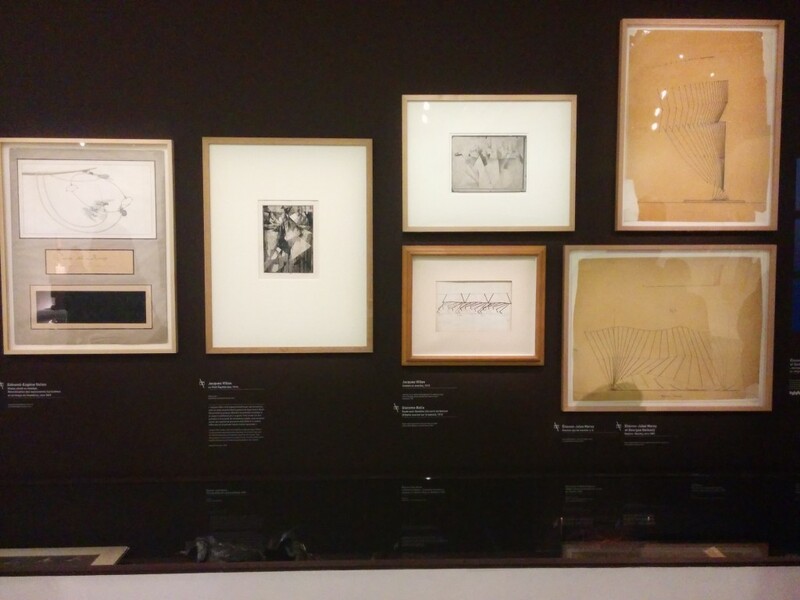 The artistic career of Duchamp is illustrated by means of a dialogue with the greatest masters that influenced him. His first attraction for colors must be affected by Fauves’ influence, by Cezanne and Kandinsky. Also Cubists’ lesson is absorbed, but soon overtaken in “Nu descendant l’escalier ” which reveals a true passion for kinetics and machine, well illustrated by a parallel with Marey’s motion studies. Duchamp ‘s interest in organic science is explained through a fascinating comparison between ready-mades and scientific instruments of the time. The last room, as mentioned above, is exclusively dedicated to the “Large Glass”. The long preparation of this artwork, from 1915 to 1923 (when Duchamp declared it incomplete), proves a long reflection on represented subjects, but also on painting itself. The “Large Glass” copy exhibited is the one realized in 1991/92 by Linde , Samuelsson and Stenborg. When, during a conference in 1964, Duchamp presents this work, he says that it is only by reading all the notes he has been taking during 10 years on it that we could deeply understand his signification. This insistence on the essential relationship between artwork and notes is surely the reason why the Curator of the exhibition decided to display, for the first time ever, the whole original version of these notes. From the first room, these documents accompany the visitors across the exhibition, up until the last room, where writings are recited by a recorded voice. Duchamp’s intellectual path then coincides with the one of the visitors, proposing to them a new approach to understanding the artwork, more intimate , deeper and closer to the artist. The distance imposed by such an enigmatic artwork is then removed through the juxtaposition of documents testifying the artist’s reflections on it. The exhibition by Cécile Debray confirms, by now, a current trend, documents revaluation: document is no more just a tool for understanding artworks, but an essential element of the work itself, ontological and linked to it.